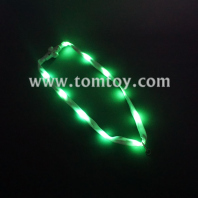 With TOMTOY 's LED Lanyard your neckwear can be as fashionable as you are! 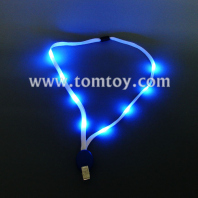 The idea solution for tradeshows, parties, family reunions, company picnics, and other events where attendees are required to wear name tags or identification(TM01743), this light up lanyard will hold an ID card or badge in style! 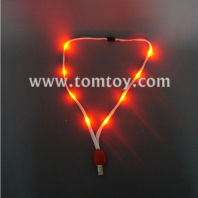 OEM different colors LEDs that will light up your lanyard after the sun goes down so you can be found in any crowd!